Q&A: the Modern Honolulu’s new club has a new Vane…. … and there’s a lot of good coming out of the entire situation. backing up a few days, I was pretty freaked when I saw flashee going off about it online but was put back at ease after Maria said for all of us to just chill and be happy for the people that are able to make it work. her blessing is pretty much what everyone wanted. still, the new gatekeeper at the Crazybox (it’s not called that) stirred the pot a bit this past weekend by not letting a lot of people inside the new/old club, which made me even more curious to get to know her. she is Russian Los Angeles DJ Kristina Kova. and it turns out she’s not that scary. 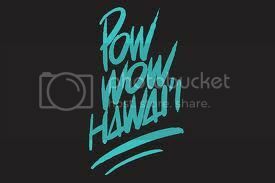 supercw: when you found out you were coming to honolulu what were your first thoughts? SCORE! Its definitely a once in a lifetime opportunity and I’m so excited to see what’s to come. what are some of the biggest differences you have noticed from los angeles and honolulu? The people! Everyone here is so nice and people seem to go out to have fun, not to show off, be on the scene etc. A lot of LA night life and life in general is all about that. Locals seem to be on their own time, at all time! That’s definitely taking some adjustment to for me. what are some of the best (and worst) ways for guests to approach you? Best- dress according to the dress code, be polite and patient. Respect my personal space! Worst- do NOT step over or touch the ropes, do not come up with a “do you know who I am” attitude. have you been able to identify a vibe that you would like to see inside from your observations of the clientele so far? The clientele I have encountered so far has been really cool, down to earth and fun. A lot of people dancing, socializing, not just sitting around staring at one another. We want to take the energy we already have and take it to the max once we really launch! care to share any tips for guests to come to the club and have a great time? It’s always best to book a table with bottle service. You get your own personal space to sit down, and great service with someone making your drinks all night. care to share any loves/hates as far as style goes? I love classy. Nothing too crazy, but girls and boys, leave the flip flops at home! No print t-shirts and rhinestone belt buckles please! who are some people that you look up to? I DJ and I absolutely adore Lulu Rouge, they are a Danish DJ duo who make the most amazing music and remixes. what artists would you have come to honolulu if you book anyone for the club? read more about this mysterious new/old nightclub Wednesday when the new Honolulu Weekly drops. The Modern Honolulu’s new club doesn’t have an official name just yet, but is open Thurs, Fri and Sat from 10:30pm-3am. email singer.karl@gmail.com to reserve a table. The “do you know who I am” attitude would be met with a round house kick if I had that job. I don’t know how Vane used to do it and still be nice about it. Although I heard she pissed a lot of people off, like Kristina here probably does. As long as they keep the douchebags out, I’m happy. The club is too small to let everyone in. They need someone doing this. jayson i doubt there will ever be a fool-proof plan to “keep the douchebags out” since a lot of those types are the ones that will buy a table. but ya, if people are walking up to her with a “do you know who i am” attitude i’m happy that she puts them in check. DJ?!?! Let’s get her to play downtown. She’s only working Thurs-Sat right? So the club is open? yep it’s open thurs fri sat now…..
and ryan (which one?) i would die to see her gig around town. MAKE IT HAPPENNNNN.